The Private Detective Agencies Regulation Bill2007. Powers and functions of Central Board. Powers and functions of State Board. Persons or private detective agency not to carry on or commence the business of private detective agency without licence. Persons not eligible for licence. 10. Application for grant of licence. 12. Conditions for commencement of operation and engagement of agents. 13. Eligibility to be a private detective agent. 15. Exhibition of licence and voluntary disclosure. 16. Cancellation and suspension of licence. 18. Register to be maintained by a private detective agency. 20. Issue of photo identity card. 21. Grants by Central Government and constitution of Fund. 22. Grants by State Governments and constitution of Fund. 23. Accounts and audit of Central Board. 24. Accounts and audit of State Board. 25. Disclosure of information to other persons. 26. Matters relating to a cognizable offence. 27. Punishment for contravention of certain provisions. 28. Prohibition for violating the privacy or causing annoyance. 31. Power of Central Government to make rules. 32. Power of State Government to make rules. 33. Act not in derogation of any other law. 34. Powers of Central Government to give directions. 35. Power to relax in certain cases. 36. Power to remove difficulties. to provide for the regulation of private detective agencies and for matters connected therewith or incidental thereto. (2) It extends to the whole of India except the State of Jammu and Kashmir. commencement. (k) “State Government”, in relation to a Union territory, includes the Administrator thereof appointed by the President under article 239 of the Constitution. (2) The words and expressions used herein and not defined but defined in the Indian Penal Code shall have the meanings respectively assigned to them in that Code. 45 of 1860. 3. (1) The Central Government may, by notification, constitute the Central Private Detective Regulatory Board for the purposes of this Act to be called “the Central Board”. Provided further that out of five members not more than two and in case of seven members not more than three, as the case may be, shall be from the recognised chambers of trade and commerce and the private detective agency, to be nominated by the Central Government. (3) The Central Board may evolve its own procedures for functioning and conduct of business. (4) The Central Government may, for efficient discharge of the functions by the Central Board, provide it with such officers and staff as may be considered necessary. (g) any other matter for carrying out the provisions of this Act. (2) The Central Board may issue directions to a private detective agency, to whom it has issued a licence, for ensuring compliance with the provisions of this Act and the rules made thereunder. Provided that every such order of revocation or suspension of a licence shall conform to the provisions of sub-sections (3) and (4) of section 16. Provided that nothing in this section shall prevent a State Government from entrusting the functions of State Board to a State Board of adjacent State with the prior consent of that State, or to the Central Board with the prior consent of the Central Government. Provided further that out of three members not more than one and in case of five members not more than two, as the case may be, shall be from the recognised chambers of trade and commerce and the private detective agency, to be nominated by the State Government. (3) The State Board may evolve its own procedures for functioning and conduct of business. (4) The State Government may, for efficient discharge of the functions, by the Board, provide it with such officers and staff as may be considered necessary. (a) grant, renew, suspend or revoke a licence to a private detective agency under the provisions of this Act, Constitution of State Board. (d) any other matter for carrying out the provisions of this Act. (2) The State Board may issue directions to a private detective agency functioning in that State for ensuring compliance with the provisions of this Act and the rules made thereunder. to the provisions of sub-sections (3) and (4) of section 16.
private application for such licence within the said period of one hundred and eighty days, till the detective disposal of such application. agency without licence. person or persons after due verification of his antecedents. (d) found violating the provisions of sections of 20 and 25.
shareholder, partner or director, who is not a citizen of India. Application 10. (1) An application for grant of licence to a private detective agency shall be made for grant of to a State Board for a licence for operating in that State or to the Central Board in case oflicence. licence for operating in two or more States, in such form as may be prescribed. Conditions for commencement of operation and engagement of agents. agents required under sub-section (2) of section 12, fulfilment of conditions under section 14 and details of any criminal case, registered with police or pending in a court of law, involving the applicant. (b) the grounds on which licence is refused is mentioned in the order. (c) shall be subject to such conditions as may be prescribed by the Central Government. 11. (1) An application for renewal of licence shall be made to the Board, not less than one hundred and twenty days before the date of expiry of the period of validity thereof, in such form as may be prescribed by the Central Government and shall be accompanied by the prescribed fee and other documents required under sections 8, 10 and 14. (2) The Board shall pass an order on application for renewal of licence within a period of ninety days from the date of receipt of the application complete in all respects along with renewal fee. Provided that no order of refusal shall be made except after giving the applicant a reasonable opportunity of being heard. (4) All orders of refusal to renew the licence shall set forth the grounds for such refusal. 12. (1) Every private detective agency shall, within one hundred and eighty days of obtaining the licence, commence its activities. Provided that the person carrying on the business of private detective agency before the commencement of this Act, shall ensure the required training to its detective agents within a period of one year from the date of such commencement. (3) A private detective agency shall not employ or engage a person unless he fulfils the conditions specified in sub-section (1) of section 13. Eligibility to be a private detective agent. Exhibition of licence and voluntary disclosure. Cancellation and suspension of licence. (f) satisfies such other conditions as may be prescribed. (2) No person who has been convicted by a competent court for an offence and sentenced to imprisonment for a period of two years or more, shall be employed or engaged as a private detective agent. licence with respect to the other agency. 12 and to review continuation or otherwise of licence of such private detective agency which may not have adhered to the condition of ensuring the required training. 15. (1) Every private detective agency shall exhibit its licence or a copy thereof in a conspicuous place of its business. (2) Every private detective agency shall disclose to the Board information regarding the agency, its objects, activities and in respect of its promoters, directors or proprietors, as the case may be. (l) that the licence holder or its agent has violated any of the provisions of section 25, 26 or 28.
why the suspension of the licence should not be extended till the determination of the question of cancellation. (3) Every order of suspending or cancelling of a licence shall be in writing and shall specify the reasons for such suspension or cancellation and a copy thereof shall be communicated to the person affected. (4) No order of cancellation of licence under sub-section (1) shall be made unless the person concerned has been given a reasonable opportunity of being heard. Provided that an appeal may be admitted after the expiry of the said period of sixty days if the appellant satisfies the appropriate Government that he has sufficient cause for not preferring the appeal within that period. (2) Every appeal under sub-section (1) shall be made in such form as may be prescribed and shall be accompanied by a copy of the order appealed against. (3) Before disposing of an appeal, the appropriate Government shall give the appellant a reasonable opportunity of being heard. Register to be maintained by a private detective agency. detective agency or private detective agent to ensure due compliance of the Act. Inspector of Police, may at any reasonable time, enter the premises of the private detective agency and inspect and examine the place of business, equipments used in providing detective services, the records, accounts and other documents connected with the licence and may take copy of any document thereof. Issue of photo 20. (1) Every private detective agent shall be issued a photo identity card, by the identity card. private detective agency employing or engaging the agent. (2) The photo identity card under sub-section (1) shall be issued in such form as may be prescribed. (b) shall not wear any garb or carry any token or emblem resembling that which is used by the police forces or armed forces of the Union. Government may consider necessary for being utilized for the purposes of this Act. (ii) all fees and charges received by the Central Board under this Act. (3) the Fund referred to in sub-section (2) shall be applied for meeting salary, allowances and other remuneration of the members, officers and other employees of the Central Board and the expenses of the Central Board incurred in the discharge of its functions under this Act. (ii) all fees and charges received by the State Board under this Act. (3) the Fund referred to in sub-section (2) shall be applied for meeting salary, allowances and other remuneration of the members, officers and other employees of the State Board and the expenses of the State Board incurred in the discharge of its functions under this Act. (1) The Central Board shall maintain proper accounts and other relevant records Accounts and audit ofand prepare an annual statement of accounts in such form as may be prescribed by the Central Board. Central Government in consultation with the Comptroller and Auditor-General of India. (2) The accounts of the Board shall be audited by the Comptroller and AuditorGenera1 at such intervals as may be specified by him and any expenditure incurred in connection with such audit shall be payable by the Central Board to the Comptroller and Auditor-General. vouchers and other documents and papers and to inspect any of the offices of the Central Board. (4) The accounts of the Central Board as certified by the Comptroller and Auditor-General or any other person appointed by him in this behalf, together with the audit report thereon shall be forwarded annually to the Central Government by the Central Board and the Central Government shall cause the audit report to be laid as soon as may be after it is received before each House of Parliament. 24. (1) The State Board shall maintain proper accounts and other relevant records and Accounts and audit of State prepare an annual statement of accounts in such form as may be prescribed by the State Board. Government in consultation with the Comptroller and Auditor-General of India. vouchers and other documents and papers and to inspect the office of the State Board . was undertaken, only to the client or to his authorised representative. superior immediately who in turn shall forthwith inform the police either through his employer offence. or agency or on his own. Prohibition for violating the privacy or causing annoyance. extend to five lakh rupees. thousand rupees, in addition to suspension or cancellation of the licence. the provision of section 26, shall be liable for punishment under the Indian Penal Code or 45 of 1860.
or intended to be done under this Act. for carrying out the provisions of this Act. (a) the constitution of the Central Board and terms and conditions of its members. operating in two or more States. while making any such rules, so far as is practicable, they conform to such model rules. Houses, or where such legislature consists of one House, before that House. Powers of Central Government to give directions. Power to relax in certain cases. provisions of any other law for the time being in force. is recognised or registered under the law of any country. two years from the date of commencement of this Act. the Indian economy has led to establishment of a large number of private business enterprises. that they are run within legal parameters and are accountable to a regulatory authority. NEW DELHI; SHIVRAJ V. PATIL. Clause 2 defines the various expressions used in the Bill. officers and as staff as it considers necessary. terms of proviso to sub-clause (1) of clause 5 at the request of the concern State. from a person or persons after due verification of his antecedents. renewal of a licence under the Bill. period of validity, etc., of licence. forming the agency and obligation to furnish the information to the Board from time to time. Clause 16 lays down detailed grounds for cancellation or suspension of licence. it, gist of services provided, etc. accounts, etc., of a private detective agency by the concerned Board. employed or engaged by an agency so as to prove their identity and authority. and other expenses incurred by the Central Board. expenses incurred by the State Board. is received, before each House of Parliament. received, before the State legislature. received in course of enquiry. notices commission of any cognizable offence during the course of discharge of his duties. anything in good faith done or intended to be done under this Bill. to, and not in derogation of, the provisions of any other law for the time being in force. or to the State Board, which shall be binding for compliance on the concerned Board. agency is recognized or registered under the law of any other country. Bill and that every such orders shall be laid before each House of Parliament. utilized for the purposes of the Bill and constitution of Central Board Fund. of about Rs. 7.2 lakh. parameters and are made accountable to a regulatory authority. 5. The Bill does not involve any other expenditure recurring or non-recurring in nature. any such rules, so far as is practicable, they conform to such model rules. The word “investigation” is derived from the Latin word “vestigare”. Simply speaking it means a tracing, a search, an assimilation or collection of information and facts. It is the process of observation, close inspection and analysis. It is also the continuous and regular search of facts for arriving at the truth of a matter, happening or event. As such it is the search and journey towards the reconstruction of events. And to do so it envisages collection of information to clear confusing, speculative and uncertain data. In fact it is the systematic collection of information, oral or documentary to support or refute a fact in issue. It is an exercise to “carry out a systematic inquiry so as to establish the truth of something” to “carry out research into a subject”. We, the Private Investigators are basically service providers. And when we talk about “service” it means “the action of helping or doing work for someone”. Thus we are basically service providers to the society. And we do have the moral responsibility to discharge our duties in legitimate manner. Presently we are a self-regulated industry with our own code of conduct to abide by. We are engaged for specific requirements. But we are yet to earn a favourable legislation to license our profession. In the absence of any prohibitory law not to practice this profession we are functional within permissible limits. There is a Bill pending in the Parliament to regulate our profession. The provisions of this Bill contain stipulations for adherence with basic checks and controls. The Private Detective Agencies (Regulation) Bill, 2007 is being examined by the present Government with a view to pass it as legislation. It is, therefore, important for us to understand some salient features of the Bill.Clause 2(i) (g) of the Bill defines “private detective work” as “collection of information in a lawful manner for such an objective by a licensed private detective agency”. This is a permissive definition and is neither restrictive in nature nor prohibitory in intent and purposes. “Private Detective Agency” has been defined in clause 2(i) (h) as “a person or a body or a firm or a company holding a valid license to carry out the detective work for remuneration or reward (fees) on agency basis for other persons”. 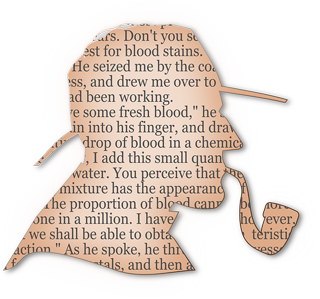 Clause 2(i) (i) defines “private detective agent” as “a person who carries out the private detective work for a private detective agency”. These two definitions are also permissive in nature and even an individual working for a detective firm, company or agency is recognized as bonafide entity in the proposed legislation. The Bill was referred by the Rajya Sabha Secretariat to the Department Related Parliamentary Committee (DRPSC). The report of this committee has now been examined by the Ministry of Home Affairs assisted by eight members. The Draft Report of Police Modernization and Reforms (PMR) Wing was submitted on 28th May, 2014 to the Government and it is under active consideration for being re-presented in the Parliament. This Draft Report also received the attention of Association of Private Detectives and a clause- by- clause analysis of the proposed changes was sent to Home Secretary. The views of the Industry have been incorporated in our submissions and the same are receiving attention of the Government. right to safeguard their interests by hiring experts who can cater to their requirements. Police can only undertake investigations if the “wrongs” become “crimes” and fall within their jurisdiction. For totally private investigations, the Police services cannot be requisitioned by an individual. Indian Penal Code was originally passed in British Parliament in 1860. After 15th August, 1947, the day of Independence of India, this Code and other enactments came into force in India by virtue of an order passed by the Governor- General in exercise of powers conferred by sections 9 and 18 of the Indian Independence Act, 1947 and later by Article 372 of the Constitution of India from 26th January, 1950. It provides for a general Penal Code for India. Section 40 of IPC says that the word “offences” denotes a thing made punishable by this Code or under any special or local law as hereinafter defined”. And further that the word “offence” has the same meaning when the thing punishable under the special or local law is punishable under such law with imprisonment for a term of six months or upwards, whether with or without fine.In the absence of any specific legislation to manage, regulate, govern or empower the profession of Private Investigation we must perform our duties as Service providers to the society. There is enough space for us to work within four corners of existing laws and discharge our obligations to the clients who requisition our services and depend on our expertise. “Law is indeed, an historical growth, for it is an expression of customary morality which develops from one age to another. Law is also conscious or purposed growth….”( Mr. Benjamin M Cardoso, Judge, USA). If members of a society inculcate, nurture and incorporate ethics the written laws also incorporate socially acceptable traditions, customs and moral code of conduct. Law is a mirror to the society. To combat deviation from the acceptable social norms, laws also take corrective, remedial and if necessary, punitive measures. But the fact remains that if written laws do not match with the realities of the society, successful implementation of such laws become an onerous task. Law, thus is only to help the society in chalking out its path of progress. Law in itself has no potentiality to change the society. Law can become fulcrum of change only when members of society, including its service providers, are willing to accept and obey the Law. We, the professionals must not try to find out ways and means to avoid the Law, circumvent regulations and break the provisions. Constitution and Laws, however perfect and ideal are not enough by themselves to protect and preserve human rights of the people. It is for this reason that Private Investigators, as legitimate service providers to the society, must come together and strive for a favourable legislation to recognize, regulate, manage and empower our profession. The Criminal Justice System in India is primarily aimed at ensuring that the accused person gets justice and no innocent person gets punished. All possible safeguards are available to the offender for his defence and the onus of proving guilt beyond all reasonable doubts lies on the prosecuting agency. So much so that in the court proceedings a Defence Attorney is also provided if the accused desires to avail of the provisions. But what about the Victims of crime? Police investigates the crime, but the victim has no control over the evidence collected, ignored or distorted. The victim is not represented by any independent Private Investigator to ensure that all relevant and material evidence is collected, preserved and presented to establish the guilt of offender. There is no scope for collecting victim’s side of evidence by any independent investigator. The evidence presented by the Prosecutor in the court often suffers from deficiencies. The lost evidence cannot be recovered or restored at belated stage of court proceedings through mere counter- interpretations by experts to be hired by complainants or victims as the case may be. This being the scenario, the victim of a crime or a complainant is at a serious disadvantage vis-à-vis the criminal. Not only he suffers on account of the crime but he is deprived of establishing his allegations against the offender because no independent investigating agency is at his/ her disposal, when the Police starts and undertakes investigation. Actually victim or complainant enjoys overriding right over criminal to secure justice but his right is undermined in the absence of specific provisions.The Code of Criminal Procedure, (Amendment) Act, 2008 came into being on 7th January, 2009 with Statement of objects and reasons to ensure fair and speedy justice and to tone up the Criminal Justice System. The Law Commission had undertaken a comprehensive review of Code of Criminal Procedure, 1973 in its 154th report. It also examined victimology and special protection in respect of women. It was conceded in its 177th Report by the Law Commission that the victims are the worst sufferers in a crime and they don’t have much role in the court proceedings. It was also felt that the victims need to be given certain rights so that there is no distortion of the criminal justice system. But the recommendations of the Law Commission did not get translated by way of amendment in Code of Criminal Procedure, 2008. Private Investigators have the moral responsibility to ensure that victims belonging to weaker sections of society, child victims of abuse, women subjected to sexual assaults, work place abuses and discrimination, domestic violence, elderly persons with offspring neglects and atrocities, faceless victims of society through spurious drugs and counterfeit products get their services to create a Victim Justice System. Doctrine of Victim Justice System to be advocated for recommending changes in Laws, policies of the Government. Jurists, Reformers and Civil or Honorary Police Officers to be brought on panel for their expertise. Investigators, Advocates, Social workers and volunteers to be enrolled and cultivated. Advertisements to be made in print and electronic media about the cause of Victim Justice System. Help line and call- centers to be established. Corporate Social Responsibility to be invoked by approaching directly for funding and resources. NGO be floated with national and international affiliations. Academy to train Professional Private Investigators, volunteers, and criminologists be created with special emphasis on Victim Justice System. “trade” means bargain, sale-purchase involving profit etc. The word “Business” signifies profit as main objective. The Professional is a person who professes to have some special skills. A Professional impliedly assures the person dealing with him, (i) That he has the skill which he professes to possess, and (ii) That skill shall be exercised with reasonable care and caution (Supreme Court judgement in Martin F D’Souza vs. Mohd. Ishfaq, 2009). We the Private Investigators must then acquire Professional Perspective to discharge our duties and moral obligations to the clients in general and society in particular. We must also become accountable to the Law and not a Law unto ourselves, transparent in operations and protectors of fundamental and human rights.